Tori Colvin and Patrick by Shawn McMillan Photography. Lexington, KY – November 2, 2014 – The history books were made to house Tori Colvin’s name. The young phenom has been winning championship titles since she was wearing garters and riding ponies. 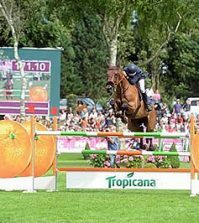 At just 17 years old, she has already won the USHJA International Hunter Derby Finals, the Artisan Farms Young Rider Grand Prix Series, and countless other awards. 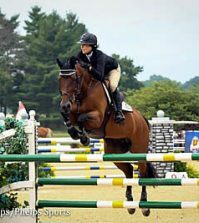 One major title had eluded her, and today she changed that for good at the 2014 National Horse Show when she captured the prestigious ASPCA Alfred B. Maclay Championship, presented by Dover Saddlery. The Kentucky Horse Park hosted 153 of the country’s top junior riders who turned out to vie for the winning title. Judges McLain Ward and Chrystine Tauber designed a course that tested the riders’ precision and horsemanship skills with two combinations, multiple bending lines, and an inside turn to a three-stride line that would be a deciding factor for today’s winners. 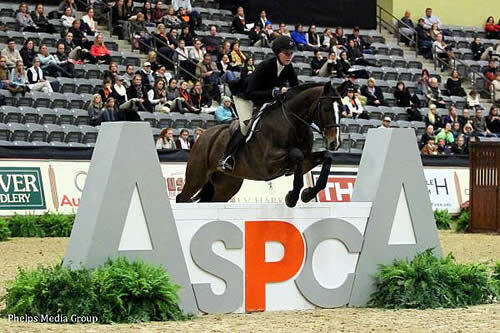 The field was narrowed down to twenty riders who were asked to return for the flat phase, with Hunter Holloway of Topeka, Kansas in the lead position, followed by Colvin and Sophie Simpson of Wellington, Florida. The flat test counted for half of the riders’ overall score, and riders were asked to complete small circles, half-passes, and two changes of lead, as well as drop their stirrups. The delicate track separated the top riders. Michael Hughes of Allendale, New Jersey, a decorated jumper rider, had a light rub in the second combination, but demonstrated a very good halt and counter canter transition that helped him remain in third place. 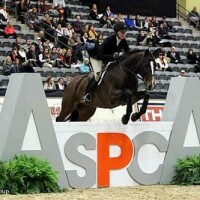 The Maclay Final marked the conclusion of the 18-year-old’s equitation career. Ali Tritschler of Southport, Connecticut was able to move into fourth place ahead of Spencer Smith with a very smooth and confident round. Smith rode the counter canter transition well, but did not demonstrate enough of a hand gallop, dropping to fifth place. However, at the end of the competition, Smith was awarded the Wilson Dennehy Equitation Trophy as the rider with the best results overall from the ASPCA Maclay Final and the Pessoa/US Hunter Seat Medal Finals. The work-off determined third through tenth place in the standings, but when Colvin and Holloway each produced flawless rounds that demonstrated their superb horsemanship skills, Ward and Tauber asked them to return for a final test, completing the same test, but swapping horses. Colvin returned first on Holloway’s Any Given Sunday and laid down the gauntlet by taking an inside turn on an unfamiliar horse and easily riding down the outside line with a controlled halt. Holloway knew that she would need to be perfect to stay in the lead, and while she demonstrated a good trot fence and a lovely ride through the diagonal line as well as completing the inside turn with Colvin’s Patrick, an extra stride at the final fence would cost her the win with a deep distance. The ASPCA Maclay Horsemanship class has been held since 1933, and it is one of the most prestigious competitions for junior riders in the United States. 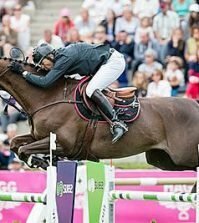 Its winners are some of the biggest names in equestrian sport. Previous winners include: William Steinkraus in 1941, Frank Chapot (1948), George Morris (1952), Leslie Burr Howard (1972), Stacia Klein Madden (1987) and Nicole Shahinian Simpson (1992). 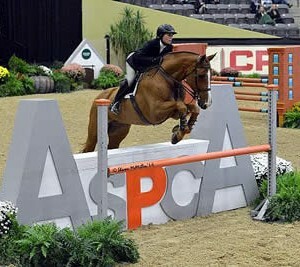 The 2012 ASPCA Maclay National Championship winner was Jacob Pope of Columbia, Maryland, and in 2013 Lillie Keenan of New York, New York, won the title. 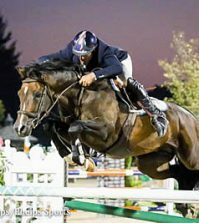 With $755,000 in prize money offered, this year’s National Horse Show offers an International Open Jumpers with $460,000 in prize money, while the top rated hunter sections have a total purse of $195,000. Meanwhile, $100,000 in total is offered to the Amateur-Owner and U 25 Jumper sections. For the fourth consecutive year, The National Horse Show received a top ranking from NARG, the North American Riders Group and was named the Show Hunter Hall of Fame Horse Show of the Year in four back-to-back years. For more information, go to www.nhs.org.